Don't even know how to start. I mean the whole course has been fun, but I never thought it could end like this - our last week at school was so much fun!! On Monday we just planned a little bit of our video that we were about to make for the Final presentation and told about it to our teachers. They were all very excited about us making a video for the final school day and said that they are looking forward to it a lot. We also had a couple creative tasks that we did. 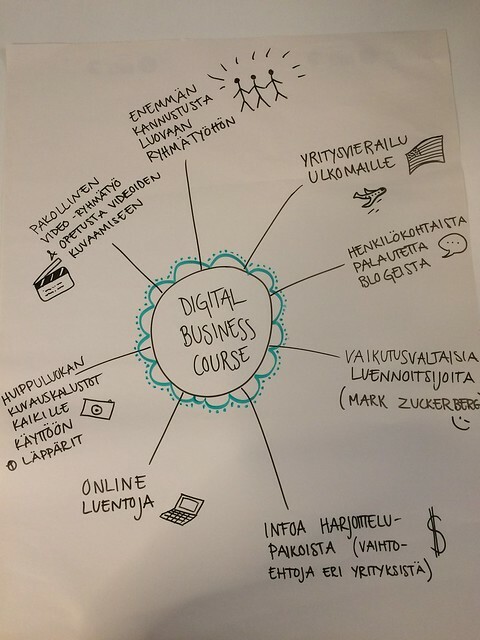 We had to plan our digital business course our own way into a piece of paper. We got to use our imaginations as much as we wanted and plan the whole course as if there were no limitations. 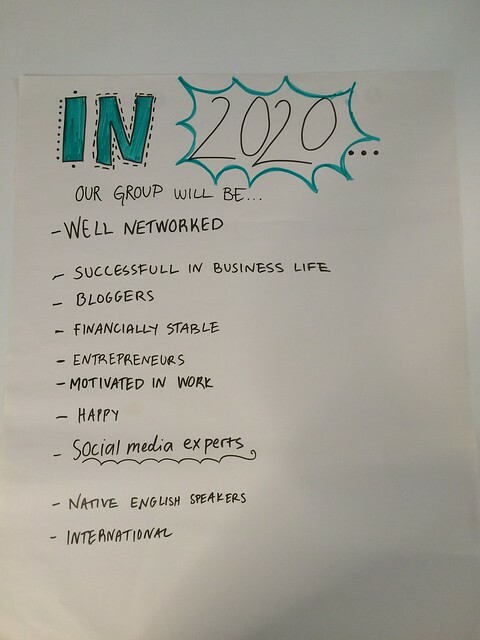 Another task of ours was to imagine ourselves in 2020 - what would we be doing? How would we be like? Our team met on Tuesday and we filmed some clips for the video and edited the whole thing ready for Thursday. I came to school all excited since I knew it was gonna be a good day. But little did I know that there was going to be Star Wars music, festival drinks, chocolate and people all dressed up - I mean, wow! 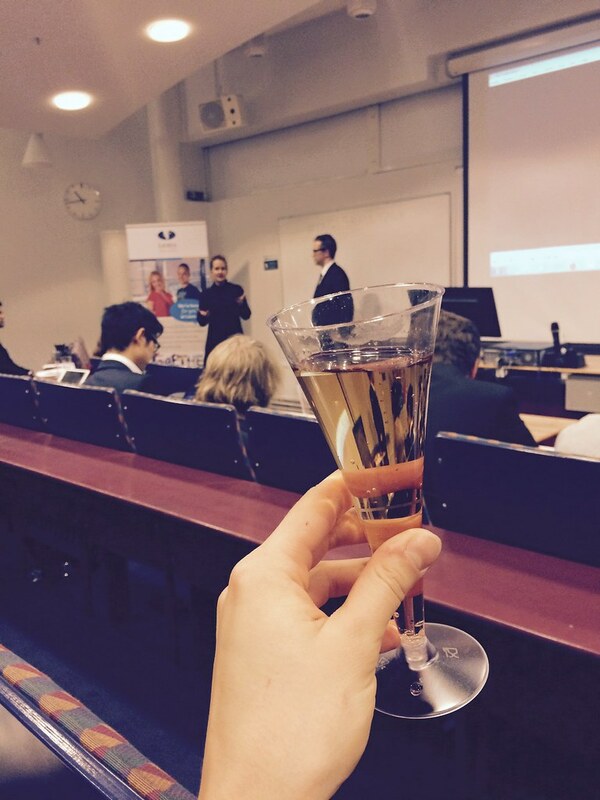 It was both the final presentation day and Ilkka's birthday so the whole day was special in every way. Our team was so excited to present our video that we made for the final presentation and we were also excited to see what others had accomplished. In addition to only going through what each group had done during the course, we also had some nominations for the best blogs (which I got chosen for?!?!!? Still can't believe it!) etc... and some guests introducing themselves. The digital coaches had also prepared a video for us to show about the course and it was funny to watch clips of moments throughout the course. The day was just so full of joy and laughter and we were all taken by surprise by the whole arrangement of the final day. Very, very nice! Ahh, it feels so good and kind of sad to be writing the last post right now. I don't even know how to end this cause I feel like I have so many emotions and so much to say that even though I have decent writing skills, I just can't express myself enough with words. Anyways, thank you Ilkka, Anna and Marjo for the course, thank you all my fellow students and special thanks to my awesome team 8<3 You guys are awesome and we had so much fun! Oh my god, you'll never guess what. I totally thought that I had published a post about this week (the week 49), but it appears that I haven't!! How embarrassing.. Oh well, here I am - better late than never, right? The second last week of the course was the week for both the exam and some lectures, as usual. 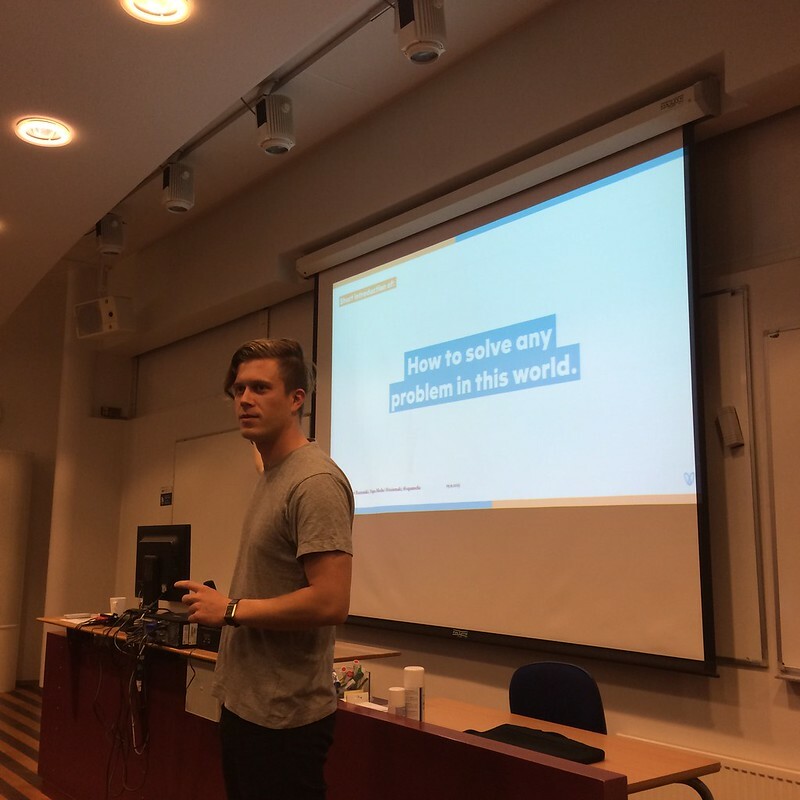 On Monday we had a few guest speakers: Mika Aittamäki and Niklas Litmala from Rainmaker, who told us about sales and marketing on a deeper level. Why is being good at selling products so important? Why are salesmen needed? As Mika Aittamäki said: Digital selling satisfies desires but doesn't fulfill needs. That's where the people come to the picture - they fulfill the customer's needs. Another sentence that I caught from Mika's lecture was that "Things that are relevant in your own world, make you buy what you buy". 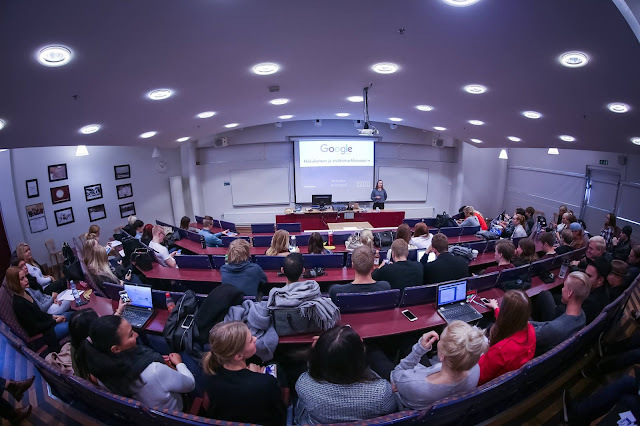 After Mika's lecture, Niklas talked to us a little bit about Leijona-Akatemia, in which we could also sign up for during the lecture if we were interested. Leijona-Akatemia is meant for students that are interested or passionate about sales. It's a new way to offer coaching and career opportunities that promises students some extra training and a job. I put my name on the email -list that Niklas gave us and got some information about Leijona-Akatemia to my email. I think these kind of opportunities and chances are very useful, even though I wouldn't need to use the service now, but to know about its existence. 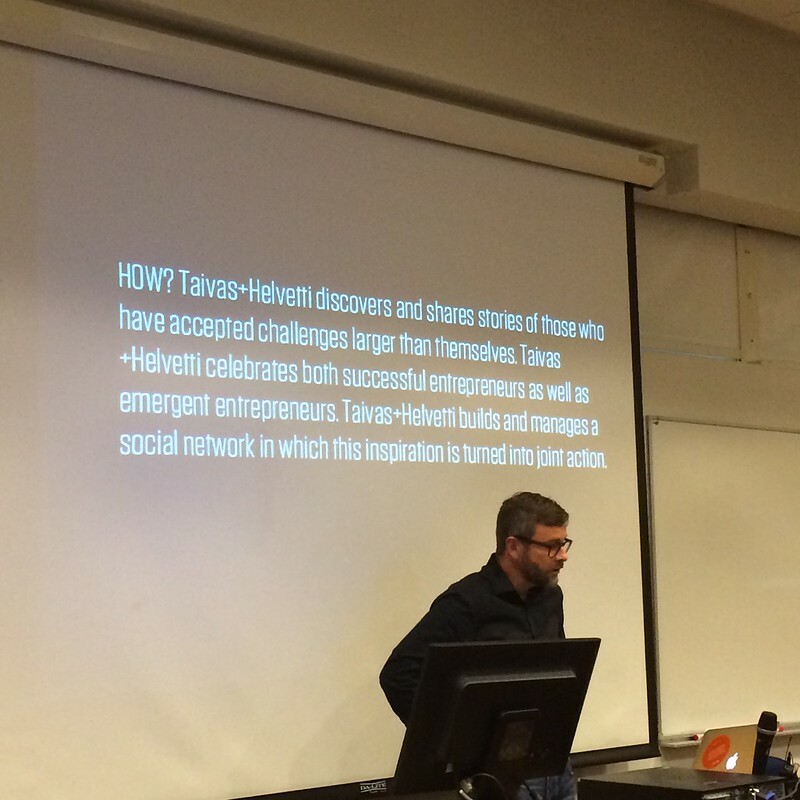 After that our dear Ilkka had a little something to say and held another lecture after a short break. What he talked about was some of his own philosophies. He brought up Aristoteles and his famous rhetoric theory about logos, pathos and ethos. These three forms of essential qualities that your speech or presentation must have so that the audience will accept your message. Logos symbolizes sense, pathos symbolizes emotions and ethos symbolizes credibility. 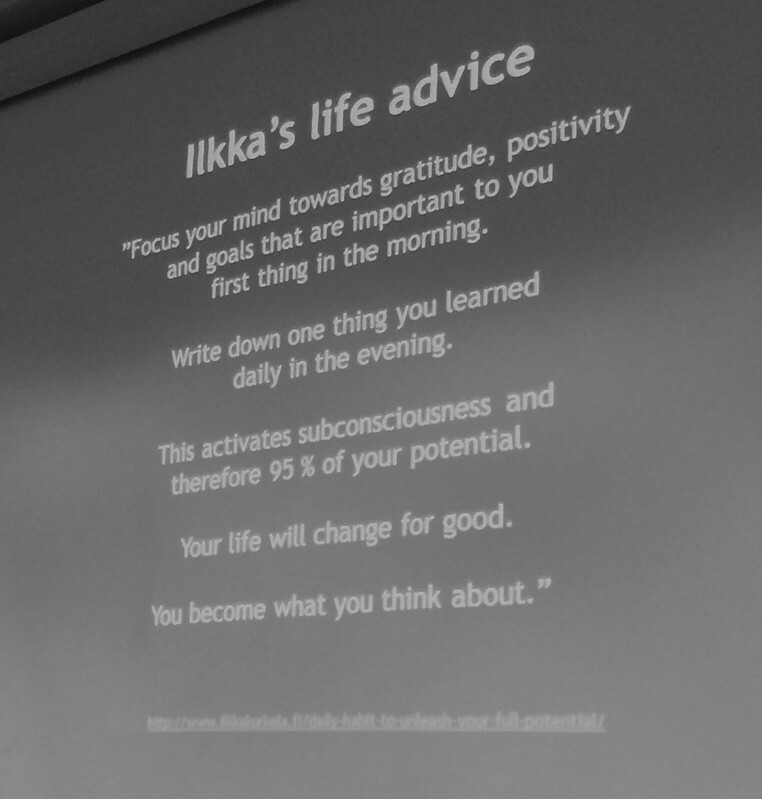 Ilkka also talked about his way of "giving thanks" by writing a gratitude diary, in which he writes down everything that he is thankful for every night before bed time. He also reminded us to always respect, help and start a conversation with new people that we meet. On Thursday we had the exam (which I actually haven't done yet!! ), so we didn't have school. Week 47 must have been one of the most fun, inspirational and giving that any week at school has been ever before. We were told that the week is going to be awesome and that we are going to have very inspirational speakers visiting us, but to be honest, I didn't believe it would really be so different than the other weeks. But oh boy was I wrong. I went to school on Monday feeling a little tired, like any person would on a Monday morning. Anyhow, I came in a little late and was so embarrassed to walk in 10 minutes behind the schedule, so I just sneaked into the back row quietly and sat down by myself. Before I even had set my focus on the speaker, I was already mesmerized. The way he spoke, the words he said, the stories he told - they all glued my bottom into the chair and my eyes towards the front of the room even more. I was so focused, so inspired and totally taken by surprise. Who was this guy? I had missed the beginning of the class where had most definitely introduced himself and all I knew was the stories he was telling and the encouraging words he was speaking to us. After the lecture I went to introduce myself to the speaker and to thank him for the great, inspirational lecture. I learned that his name was Jaakko Alasaarela and he was the CEO of a company called ZEF. He was also going to take part in the national pull-up competition and according to our teacher he is very good at doing pull-ups. So, an awesome guy! He inspired me and made me think about my dreams and what could I do to make them come true. After our short conversation after the lecture, it was Jaakko's time to leave and the next speaker to take the stage. Now it was Camilla Tuominen, who was going to talk to us about emotions and also a little about her company Emotion tracker. Camilla's bubbly and quick-witted personality caught my attention immediately. She smiled and made big gestures with her hands while she spoke to us and was very easy to listen to. 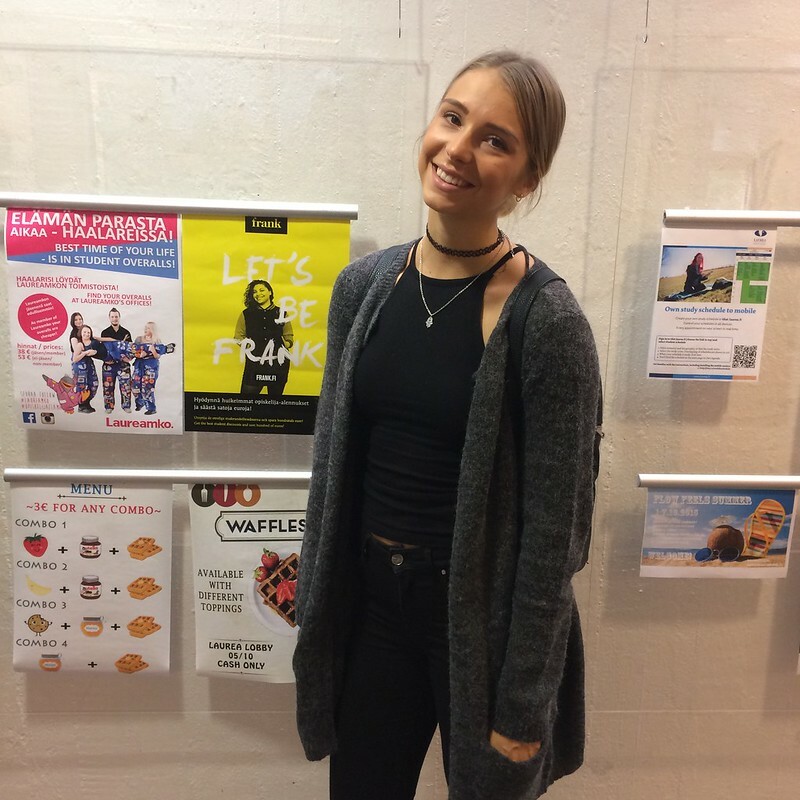 Camilla told us her story about how she had quit her job in a company she didn't feel herself comfortable working in and started to pursue her own dreams and interests. She had always felt that it is important to be able to recognize emotions and to process them. That is why she had begun to speak more publicly about emotions to people and why she had little by little developed the idea for her own business. - Wish the feelings you experience welcome and process them with curiosity. "It's just a feeling", like Camilla said. One of Camilla's slides - she had drawn all of them by herself!! I also went to say hi to Camilla, since she was - also - such a positive and inspirational human being. We talked about dreams, feelings, meditation and her lecture and bonded immediately. I gave her my blog address and she promised to check it out, since she grew a little interest towards it while we talked. We didn't have much time to have a conversation, but even the little moment after the lecture talking with her made me very happy. I thanked her for her inspirational words and for her positive personality and took her business card. On Thursday I wasn't in school, because I was filming a video for another school project. I had let our teacher, Ilkka, know about this and he had given me permission to be absent. Anyway, such a great week. Wow. When it comes to law-related issues, I'm not the sharpest tool in the shed. Yes, I find them interesting and it's necessary to know even a little bit about different laws and regulations, but - to be honest - I find studying law a little boring and maybe too pedantic. I guess it's my personality that reflects on my opinion of law, because I'm more of a "something like that" kind of person. In other words, not so precise. But despite this little personality description above, I'm not underestimating the need of knowing even a little about law. When it comes to business and especially marketing, it's urgent to know what you can and what you cannot do. That's why it was super nice that last week we had Marjaana (one of the teacher's in our school) teaching us a little more about law. We had tasks related to social media law issues and marketing issues, that each team completed in a group and returned to Marjaana on Thursday. The tasks weren't the easiest ones, but we completed them quite well I think - we used the "Markkinointijuridiikka" book as a little help, since the tasks required it. The week was different and maybe a little more boring to me than the weeks before, but also very necessary. I think it's nice that we have different divisions during this course and not only lectures about digital marketing or such. According to Ilkka, this week is going to be very interesting and we are apparently going to have phenomenal speakers visiting us in the class so I'm looking forward to it. And yes, that's me doing yoga - totally non-related to this blog post, but I unfortunately didn't take any pictures at school this week. Instead, I did a lot of yoga. So I decided to post this pic just so that this post would have a picture in it. Hah. 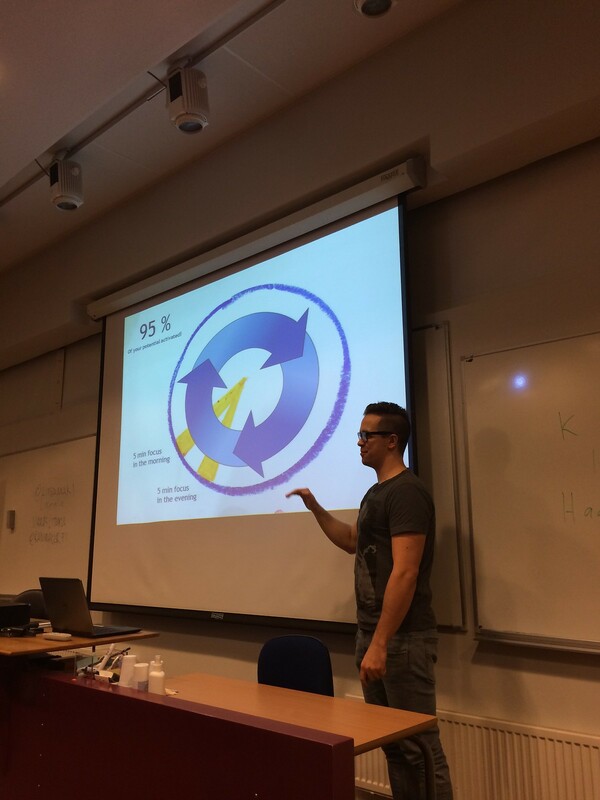 Last week on Monday we had a guest speaker, Ilpo Kärkkäinen, who actually was Ilkka's (our teacher's) friend. Ilpo is a blogger and a DJ and he was there at our school to talk about blogging. The lesson was mostly something I already knew, since I have written a blog for many years now, but there were some important points, that I wrote down from Ilpo's lecture. Keep the momentum going in blogging - just write, it doesn't even have to be public, blogging helps to clarify your thoughts. Show your vulnerability - nobody's perfect. On Thursday we had the first exam and to our surprise, we were able to do it at home. We were provided a link to the exam at the Facebook group of our course and from 10 to 12 o'clock, we were able to do the exam. I was a little nervous about it, but it turned out to be very easy and I thought I did quite well. Now off to start a new week! This week our team is going to go to the vintage interior shop that we are collaborating in this project with and take some video clips and pictures of the place. We are going to start designing a website for the shop and start to compose some ideas for the social media channels of it. It's Sunday again - damn these weeks go by so fast! This week we had lectures on Monday and Thursday, just like every week. 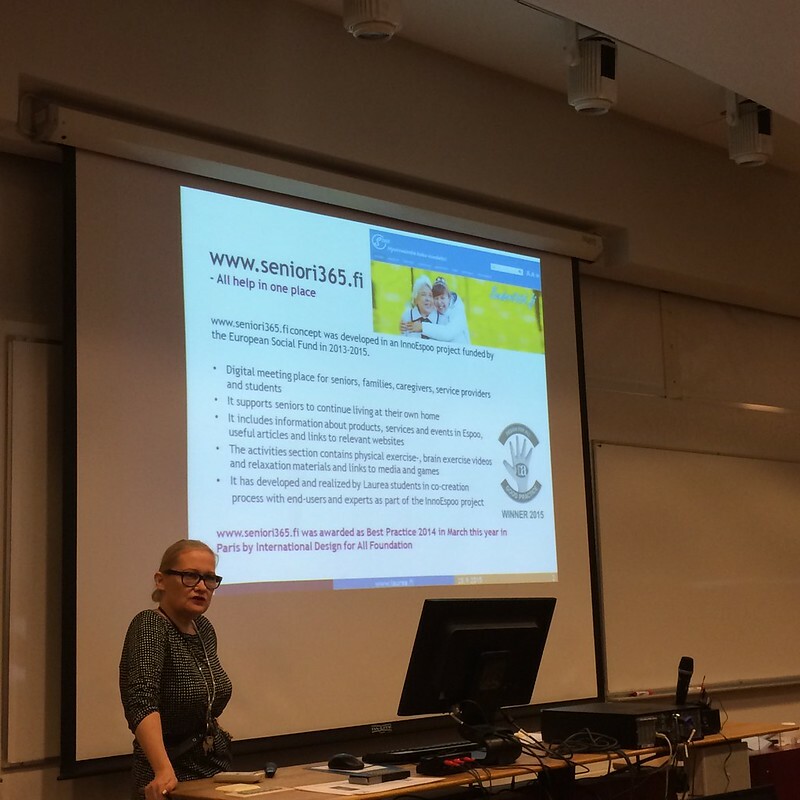 On Monday there were two guest speakers in our class, first was Terhi Aho from Tulos and second Joanna Puro from Mynnin & Markkinoinnin ammattilaiset. 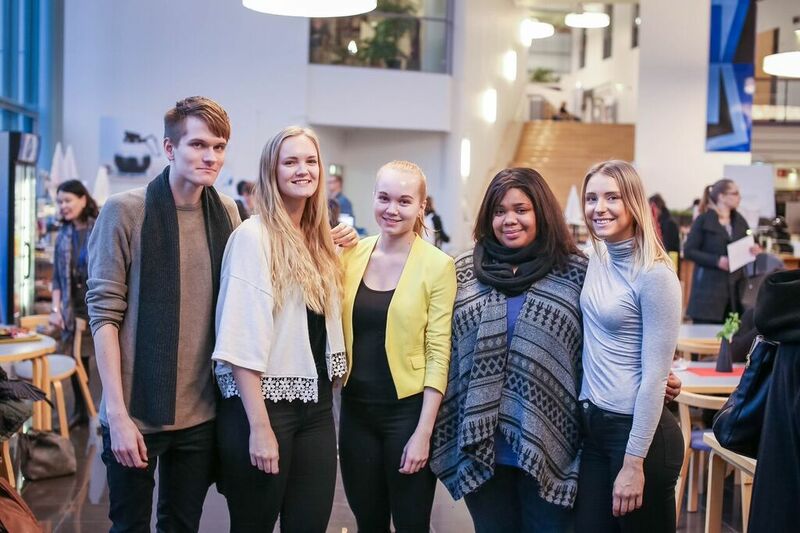 Terhi told us about different kinds of ways of marketing and creating content to the internet. We talked about search tools like Google and also social media and mobile searching. Terhi pointed out that Google is still the most used in desktop searches but mobile searching is growing all the time. And as I think about it, yes, I always google stuff on my phone if I wanna know something or figure things out. 1. Network - talk to people, say hello and make contacts. 2. Digitalization - well, yes. Just yes. This is the future. 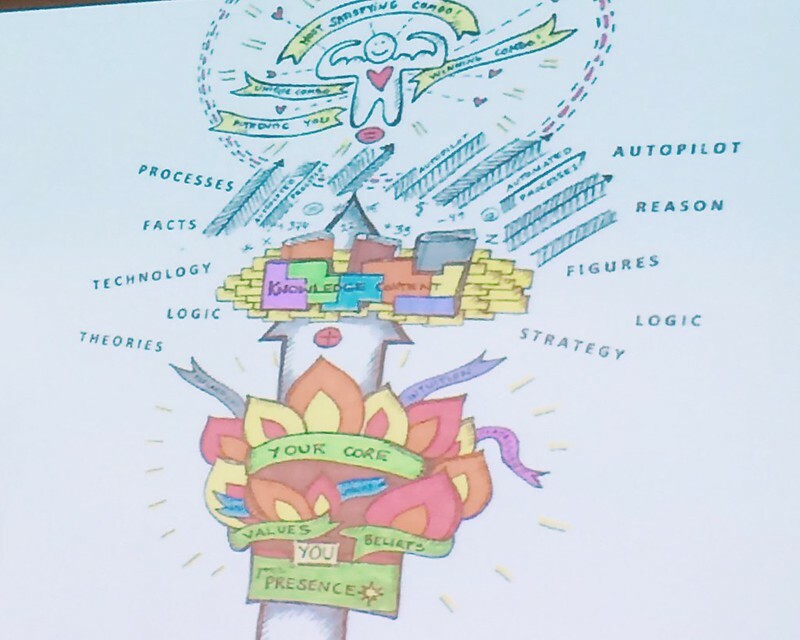 On Thursday our dear teacher Ilkka gave a phenomenal presentation, which was actually streaming live to 70 watchers all around the world through the Periscope app. Ilkka talked about digital strategy and we also discussed some things together, like what is the most important thing in business and who are the people that inspire us. I made a lot of notes and found the lecture very inspiring and useful considering my dreams about starting my own business one day. 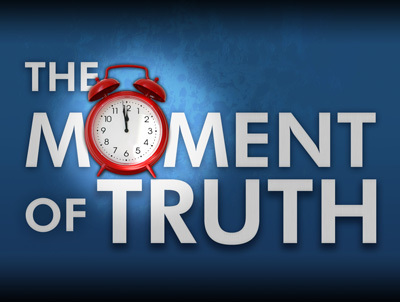 One point that Ilkka himself also named as one of the most important was "The moment of truth" in business. He said that it is the moment, when a customer makes the decision about his/her purchase. What is the customer thinking at that moment and how can you use the information about the decision making in developing your business. I found that very important and will definitely think about "the moment of truth" when I develop my own business idea/ideas. 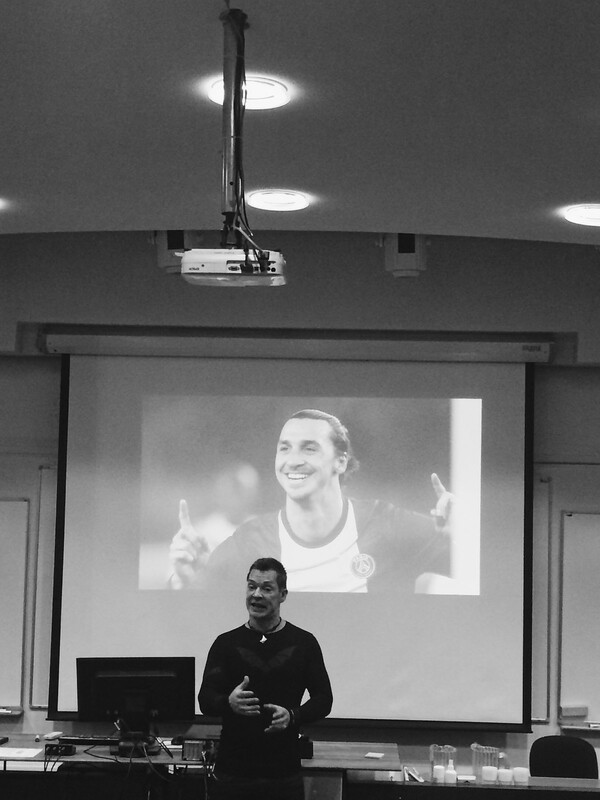 It was so touching to see how excited and also happy Ilkka was about the lecture he held. It clearly meant a lot to him and as he said, it was a dream come true for him, since he had always wanted to hold a presentation/lecture that would be streamed online. I also took a look at some of my class mates blogs and read them through. Here are some, that I found very interesting and pleasant to read. Hannah updates very often and writes long, thoughtful posts. I like that she uses a lot of pictures and that you can see her personality through the texts, that she writes. She is also in the same team as I am in the project that we are working on at the moment. Otto uses a lot of pictures and writes widely about our school weeks and lectures. I like the layout of his blog - it's very simple and visually pleasing. Kata is one of my best friends and this was actually the first time I went to read her blog. She - as like myself - writes a blog of her own in addition to this "school blog", so she has skills in blogging, which you can clearly see from her posts. Her posts are distinct, deliberate and pleasant to read. Ohh, Essi's blog is so cute! The pink banner and the background pattern makes the blog stand out from the crowd. She also blogs often (as we are supposed to, hehe) and uses nice pictures to support her writing. Nelli's blog is pleasant to read and browse through. You can even see pictures of her dog there, haha. She writes quite long posts and updates often. Thumbs up! It's been a while. And a little too long of a while to be honest... But, I'm here now! Instead of writing down every single detail about our lessons at school, I'd rather just update in general - related to our studies, of course. Last week we actually had a lecture break, which meant that our team didn't meet or do school tasks at all. It was nice to have a little break once in a while - at least for me it boosts motivation and gives some time to rest between going to school, working and becoming a personal trainer at the same time. Anyways, lately, we've had a lot of companies presenting themselves to us in class. We've had guest speakers talking about their companies/the companies they work for and their own journey in business life. The lectures have been very interesting and inspiring - at least some of them have really made me think and have really inspired me. 1) "When you are trying to solve a problem or creating a whole new solution for it, don't automatically go through the door that says "the solution" - instead, go through the door that is blank. By doing that, the process will probably not be as easy as it would if you went through "the solution door", but it will most likely develop something better and something more creative. 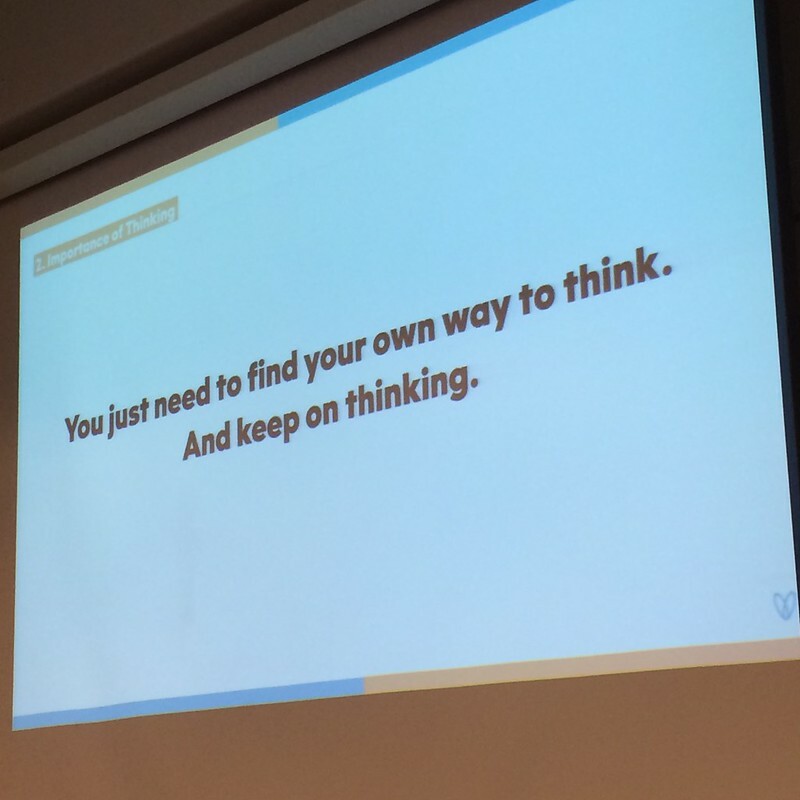 2) "You just need to find your own way to think. And keep on thinking." 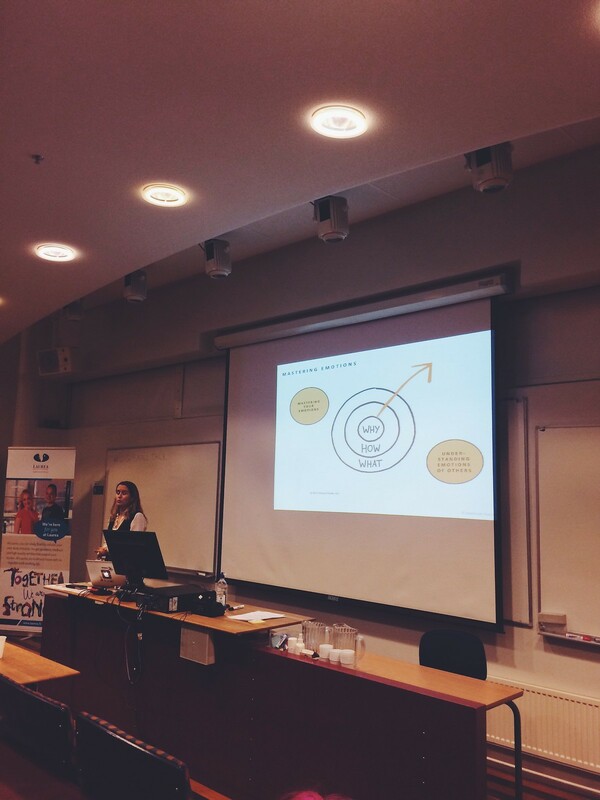 Also, here are some pictures of some of the other lectures we had, that were held by various people from companies like Urakkamaailma, Seniori365, Taivas + Helvetti. 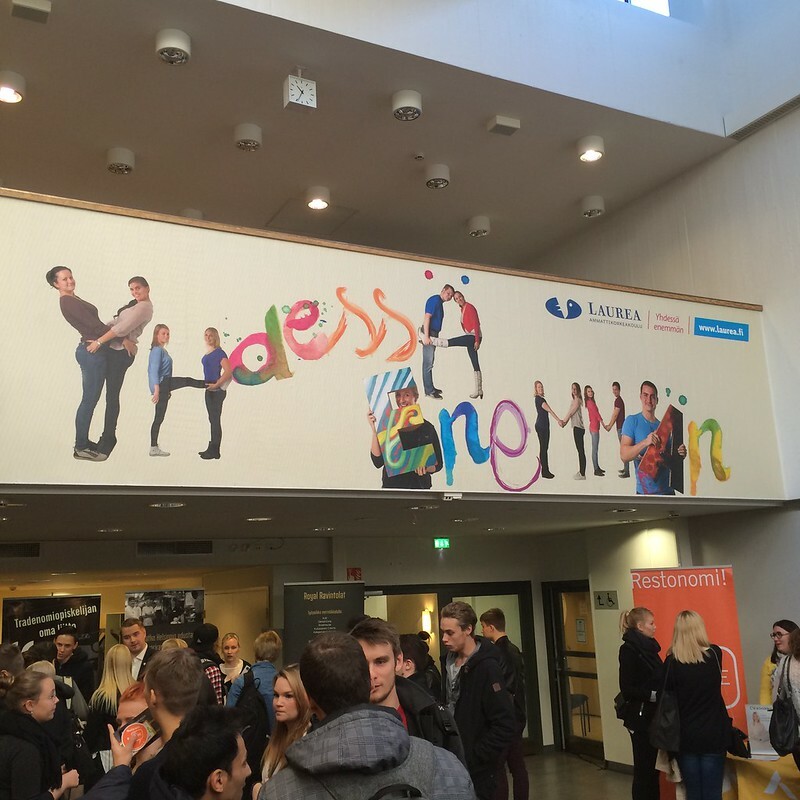 After that week - a week before the lecture break - was the "Network to get work" event at Laurea Leppävaara campus on Thursday (October 8th). There were a lot of different companies presenting themselves and promoting available jobs, trainee positions etc. In addition to that, the students had an opportunity to take part in various lectures that were related to our studies - there were lectures about entrepreneurship, business, marketing... Almost anything you could think of. Inspirational stories and useful strategies related to our studies. That same week our class did have a lecture on Monday, but I didn't make it to school that day. 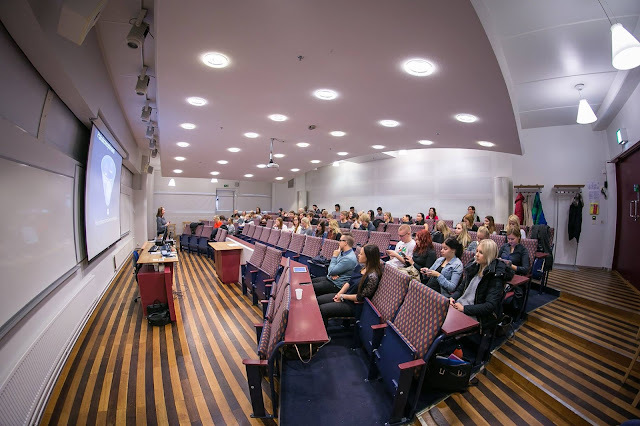 Although, my friends told me that one of our mentor students - Faysal - had given an interesting lecture that day, in which he showed pictures that he had taken and talked about photographing. I wish I could've been there. Anyways, that's what up right now. I will update about this week soon enough - there's not gonna be another 3 week break here in the future. Again, sorry about that.